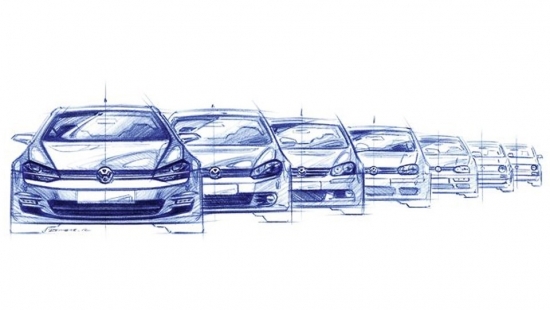 Volkswagen is now offering another variation of their Sportwagen to slot right in between their current S and SE models while still maintaining their top of the line SEL trim as well. The Golf Sportwagen Limited Edition will be priced at $25,815USD while the S goes for $22,445USD and the SE goes for $27,845USD. The Limited Edition will have special badging on the fenders, comes with 17 inch wheels, a panoramic roof, and chrome window trim which is above what the base S model currently offers. Additional driver aids will include adaptive cruise control, blind spot monitoring and forward collision warning. With the TDI engines currently at a stop sale in North America, Volkswagen has decided to package the Golf Sportwagen Limited Edition with their 1.8L turbo four cylinder which delivers 170hp and 199lb/ft of torque. The motor is mated to Volkswagen’s six speed automatic transmission which is not the DSG found on the TDIs. The Limited Edition Sportwagens will hit showroom floors later this month. Volkswagen continues to push the envelope with their compact car designs and introduces the concept Golf GTE Sport. Setup as a two seater, the angular and sporty coupe pushes the design elements of the Golf and pulls in design queues from the Scirocco. Power is delivered by a 1.6-liter turbo four-cylinder gasoline engine and electric motors on the front and rear axle with an estimated total output of 395hp and 494 ft/lbs of torque. 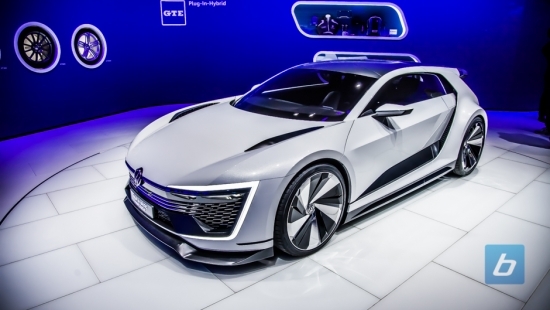 Volkswagen claims a 4 second sprint to 60 mph, a top speed of 174 mph, and the ability to deliver 118mpg when driven on the European test cycle. Weight of the vehicle will be kept to a minimum with construction of the body panels being formed from carbon fiber. Combining light weight and packing ample power, Volkswagen aims to “blur the lines” between motorsports vehicles and road cars. Enjoy our gallery from the LA Auto show after the jump. Have you ever longed for a more practical version of the Golf R? Perhaps you have a small family and needed more space but wanted the 4Motion all-wheel-drive system? Well, VW has announced that the Golf SportWagen AllTrack that we wrote about from the Paris Motor Show will indeed be coming to North America next year as a 2017 model. 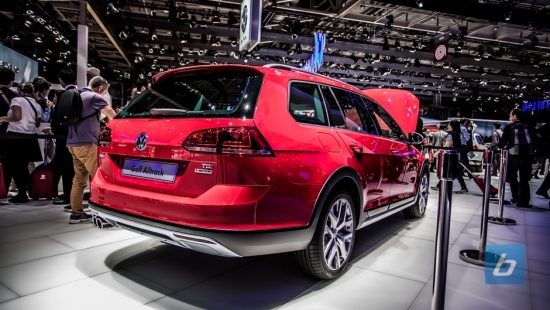 The AllTrack all-wheel-drive model takes the regular Golf SportWagen and adds about an inch of additional ground clearance, wheelarch moldings like the Audi AllRoad, revised front and rear bumpers and flared side sills that offer additional body protection. Oh, and of course it also gets the 4Motion all-wheel-drive system that utilizes the latest generation HALDEX-5 coupling that allows the vehicle to operate as a FWD for better fuel economy until the system detects a loss of traction when it can send up to 50% of the torque to the rear wheels. There is no information on what engines will be available on the AllTrack but if I were to hazard a guess the 1.8 TSI is a safe bet, but perhaps they’ll borrow the 2.0L from the GTI. We’ll know more closer to the release date which is still only as specific as “sometime next year”. Looks like VW is taking a page out of Audi’s book and is releasing an Alltrack version of the Golf. Much like the Allroads that have come before it, the Golf Alltrack is basically a lifted Golf wagon with black plastic cladding around the wheel arches. It is the same formula that Subaru uses for its Outback trim level. 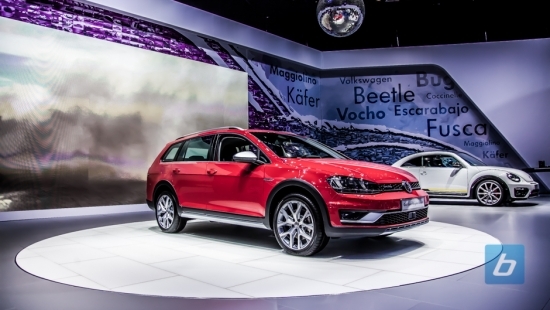 The Alltrack is being released with 4 engines in Europe. Three diesels and one gas. The 1.8L TSI engine makes around 180 hp and is mated to a DSG transmission. No word on whether this car is coming to North America. The most interesting part of the vehicle is the drive train. A Haldex-5 coupling makes up the 4Motion AWD system that can push 100% of the power to the rear wheels. It is mated to EDS and XDS which are just fancy acronyms for brake controlled anti-spin differentials and torque vectoring. Hill decent control makes an appearance. I guess VW is expecting people to actually take this off-road. 20mm of additional height isn’t really enough to make this an SUV. It looks great to me. Enjoy the picture gallery below. 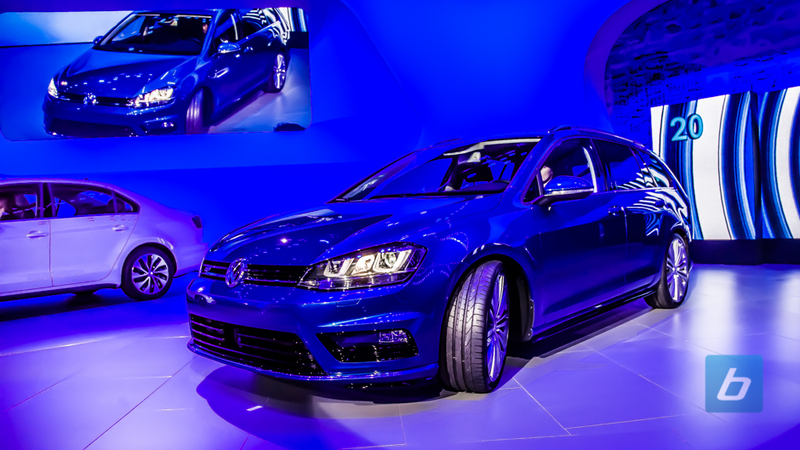 Volkswagen brought 2 new vehicles to the New York International Auto Show this year, showing off the all new Golf Sportswagen, as well as a facelift of the sixth generation Jetta for 2015. The Golf Sportswagen features 4MOTION all wheel drive, as well as the new EA288 TDI Clean Diesel engine. Extensive weight savings were accomplished by optimizing the seats, air conditioning unit, and even the electrical architecture, while growing the length of the car by 1.1 inches and width by 0.7 inches. These changes gives more rear seat leg and shoulder room for passengers. Sitting nearly an inch lower, the aerodynamics have been improved by 10% compared to the outgoing model, which also gives greater headroom to its occupants. Two engines are offered in the Golf Sportswagen, a 1.8L TSI engine delivering 170hp through a 5 speed manual or 6 speed automatic, as well as the aforementioned EA288 TDI Clean Diesel engine putting out 150hp, a 10hp improvement over its predecessor. New interior features include a panoramic sunroof, 12-way power driver’s seat, Climatronic automatic climate control, Bi-Xenon headlights with LED DRLs, and Park Distance Control. 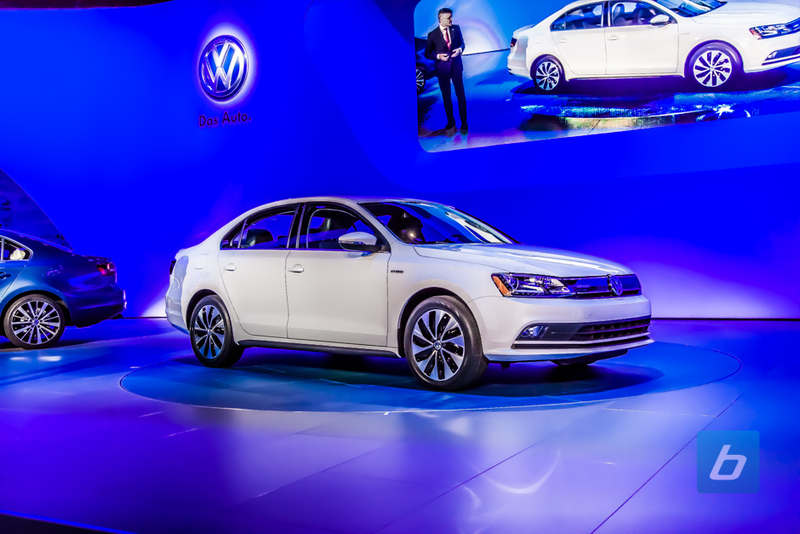 The 2015 Jetta facelift features restyled front and rear, improving its aerodynamic properties. A redesigned grille with three cross fins, optional Bi-Xenon headlights and a new bumper makes the new Jetta easily recognizable. The combination of the new front bumper, optimized air intakes, and aerodynamically refined rain gutters reduces drag for better efficiency. The dynamic radiator shutter opens and closes as cooling demand requires, which also improves drag and aerodynamic efficiency at speed. 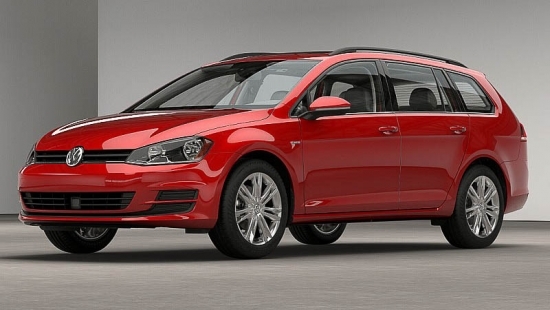 The 2015 VW Jetta will hit showrooms this fall, while the Golf Sportswagen will arrive sometime in early 2015. I’m not sure if this is a case of poor car maintenance, or if it was some sort of failure but I saw this while driving home today. Excuse the poor quality picture, its from my Nokia N95 camera phone. 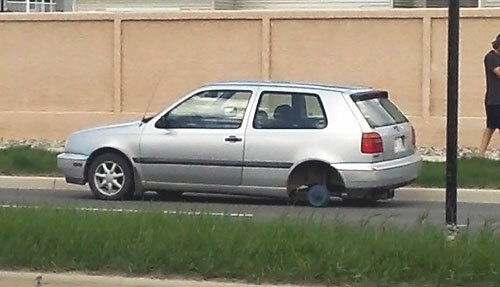 I talked to the driver afterwards and he was pretty upset and wondering how a wheel could just fall off. I asked him if the lugnuts were still there and he didn’t know. As I glanced up the road where he came from, there they were, four lugnuts glittering in the road. So, what exactly happened? I’ve lost a lugnut before but never did all of them come off causing my wheel to fall off.